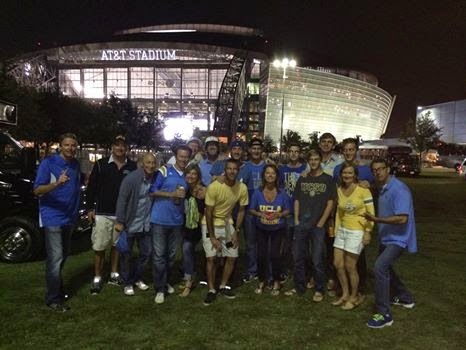 Once again the awesome power of the Old Bro Network was unquestionably the difference maker in cheering on the Bruins to another victory ..... Several Old Bro's were in attendance at AT&T Stadium in Dallas (aka Jerry World) this past weekend to watch our UNDEFEATED Bruins stage an epic comeback and beat the Texas Longhorns 20-17. 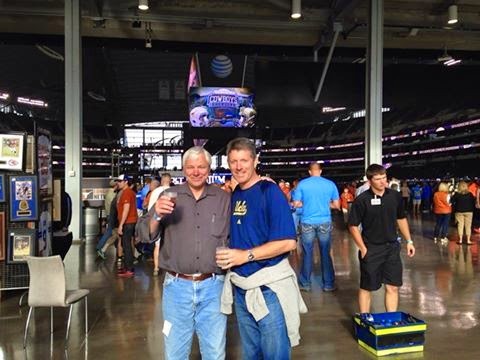 There was a great showing of the Brotherhood in Dallas this past weekend to watch the Bruins come back to beat Texas in the Dallas Cowboy’s amazing stadium. 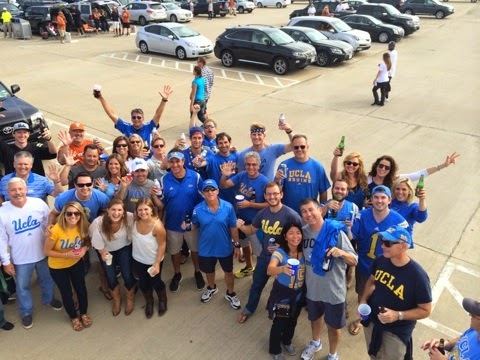 There was an impromptu tailgate with Bros from the early 1980’s (e.g. Scott Sellens and Bob Saunders), late 1980s (e.g. Trevor Kirschner, KC Nowak, Stefan LaCasse, Mark Redd, Chris Sutherland, Chris Johnson, Robert Frackelton) and 1990’s (but I can’t recall their names!). 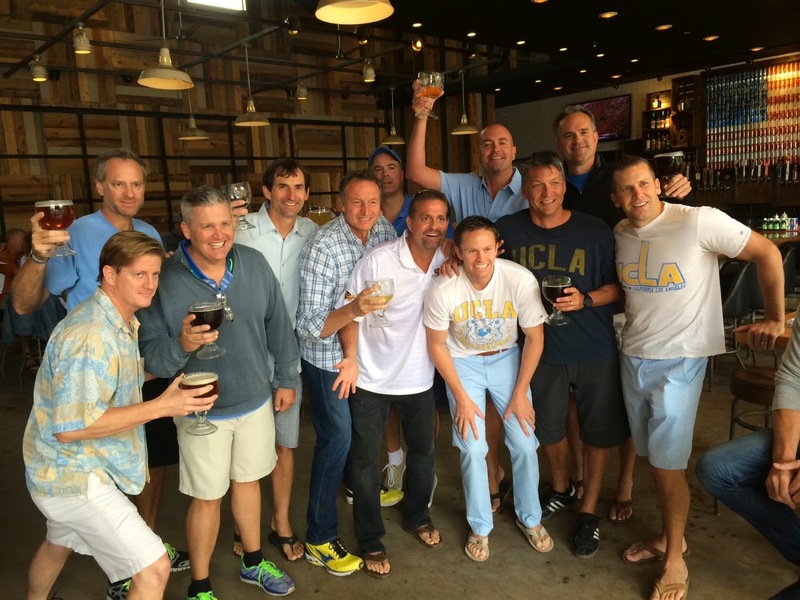 Pre-game there was a gathering at Uptown Dallas bars with Jeff Richards, Bart Cleveland, Jon Congdon, Walt Edwards, and more. 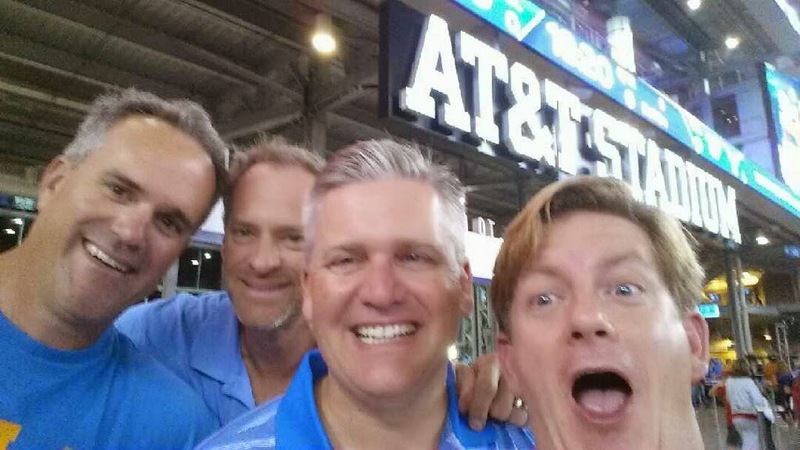 Attached are some photos…. 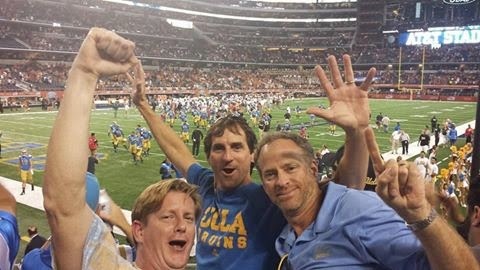 U --- C --- L --- A --- UCLA FIGHT FIGHT FIGHT !! GO BRUINS ! !